The Wyoming Section wiki page is sorely out of date. I took the liberty of removing lots of unused pages and did a little updating. If you have had access or want to help with keeping this page viable for the section, please email me with any information you would like posted. As your new Section Manager, I thought I would introduce myself. served in the Midwest, both coasts, Guam and Germany. privileges to the Technician License. amateurs to your Directors before this proposal was ever put forward. regular part of our operating today. negative feedback the likelihood of them approving it is small. 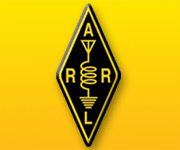 To threaten to sever ties with the ARRL over this is counter-productive. I think we get a lot for our membership. The Wyoming Section Facebook page is the “heartbeat” of the section. There very well could be others. Please let me know if I’ve missed any. I need your input to keep it updated and viable.